Flux Death Match is an initiative that takes online debates into real-space at the Flux Factory gallery and sites throughout NYC. Conceived as lively discussions between influential members of the art, tech, and political communities, panelists will illustrate their points with slides, web references, and other materials in a rapid-fire way that challenges convictions on critical issues. The series was created and moderated by Christina Vassallo & Douglas Paulson. 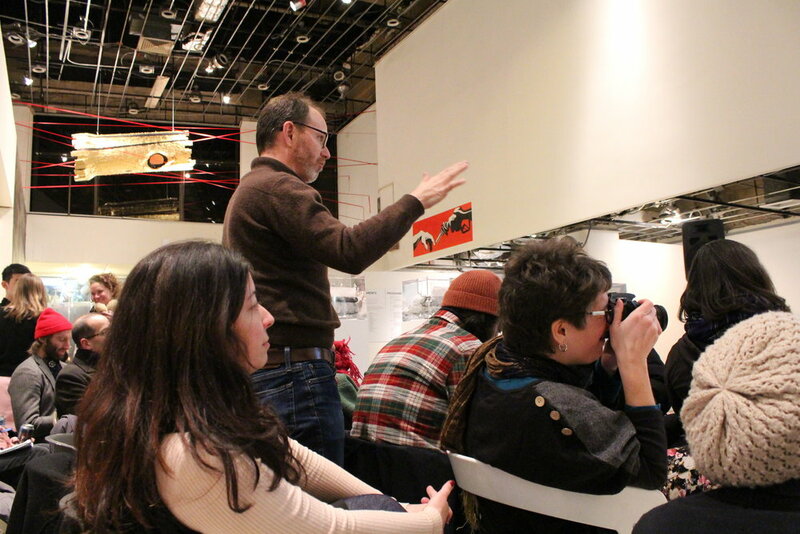 In the first Flux Death Match, art critics Paddy Johnson of Art Fag City and Hrag Vartanian of Hyperallergic and artists John Powers and William Powhida argued over the strategies artists use to engage with the Occupy Wall Street movement and confront the concentration of wealth and power within the art world. In the second Flux Death Match, our panelists aruged over The New Aesthetic – a visual culture meme born of a Tumblr account by James Bridle and propelled into heated on- and off-line discussions by a SXSW panel in March, an essay by Bruce Sterling on his Wired.com blog, and subsequent responses on The Creators Project. Artist, technologist, and NYU ITP Resident Researcher Greg Borenstein; media artist Kyle McDonald; interdisciplinary artist Carla Gannis; and architecture, tech, and media historian Molly W. Steenson will converge at Flux Factory in order to duke out the finer points of NA. Namely: is it really a new thing and how important is it? What are its boundaries? And, is James Bridle’s recent closure of his New Aesthetic Tumblr account the NA death knell? During the third Death Match, Is Small Big Enough? (Planning & Intervening in Public Space), panelists debated the successes and failures of different approaches to creating a more inhabitable city. We’ll also delve into the sticky subject matter of finances and evaluation criteria, the politics of a gesture, and how strategies get co-opted. Mike Lydon is an author and Principal of The Street Plans Collaborative, an urban planning, design, and advocacy firm based in Brooklyn and Miami. Architect and educator Anne Frederick is the founding director of Hester Street Collaborative, a design-build organization that improves the physical environment in under-served NYC neighborhoods. Aurash Khawarzad is an urbanist, city-planner, and a founding member of DoTank:Brooklyn and Change Administration. Quilian Riano is a Brooklyn-based designer, writer, educator and founder of DSGN AGNC, a platform for critical activism. The fourth Flux Death Match, Arts Funding, Follow the $$$, we waded through the murky waters of arts funding. Where should the money come from? Who should it go to? And what happens to the art when they get it? Steve Lambert, Alexis Clements, and Deborah Fisher helped us figure it out at the Long Island City home of No Longer Empty. The final Flux Death Match, 'Ennial Spectacle, took place at the Queens Museum, as part of the Queens International 2013. Ben Davis, Natalie Jeremijenko, and Tom Finkelpearl duked it out over the complex role of perennial art events in a globalized society and how they influence artistic production, consumption, and the construction of contemporary art history.